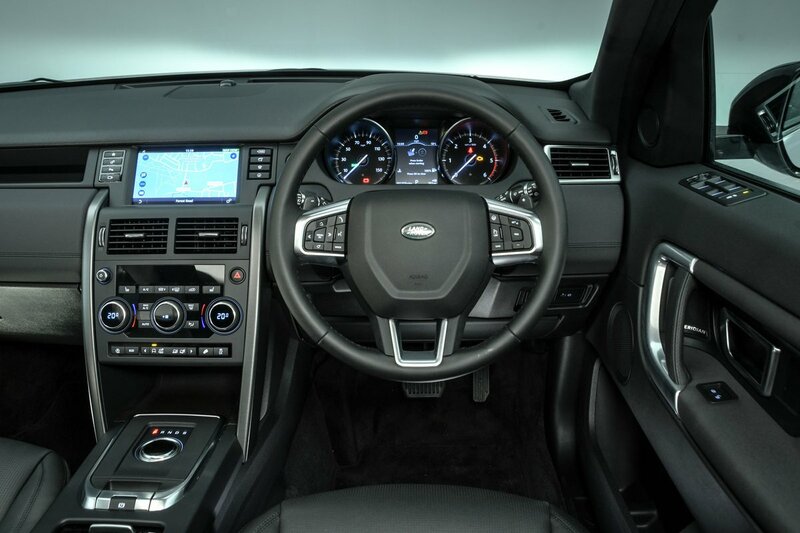 Land Rover Discovery Sport Interior, Sat Nav, Dashboard | What Car? The broad driver’s seat is, in the main, extremely comfortable, although it’s worth adding adjustable lumbar support on the cheaper trims – without this, there's a shortage of lower back provision. High-end Discovery Sports come with adjustable lumbar support and electrically adjustable seats as standard. The cushioned lid of the raised centre cubby doubles as a well-placed armrest and the dashboard is easy to figure out – it’s well marked and has logically placed switches, including the simple main rotary controls for the air-con. However, some settings are altered using the big colour touchscreen in the centre of the dashboard, and that can prove fiddly. The Discovery Sport’s chunky door mirrors give you a broad rearward view but can obstruct forward visibility at junctions. There’s also a blindspot at the car’s rear three-quarters that is important to be aware of when changing lanes, especially if you haven't chosen to add the optional blindspot monitoring system. All Discovery Sports come with rear parking sensors and all but entry-level Pure and SE models have front sensors, too. A reversing camera is standard on HSE trim and upwards, and optional on lower trims, while automatic parking systems are optional across the range. All trims have a heated front screen, so you’ll be able to clear that early morning frost in no time. You have to jump up to HSE trim to get bright Xenon headlights as standard, with adaptive ones on the options list. Full LED headlights aren’t available, even as an option, but all except Pure and SE trims get auto lights and wipers. Every Discovery Sport come with an 8.0in colour touchscreen as standard, but you can’t have Apple CarPlay or Android Auto. The straightforward home menu and physical shortcut buttons make it easy to jump between key functions, which include sat-nav on all but entry-level Pure and SE trims, although it's a shame that the screen doesn't respond a little more promptly when you press it. Beyond the core home menu, some of the other processes – such as finding a radio station or inputting a new destination – are quite convoluted and the necessary icons aren't always obvious. Some of the icons are quite small, too, making them tricky to hit while you’re driving. You can upgrade to a system with a sharper 10.0in screen, but it’s pricey and still not as good as systems in the Audi Q5 and BMW X3. 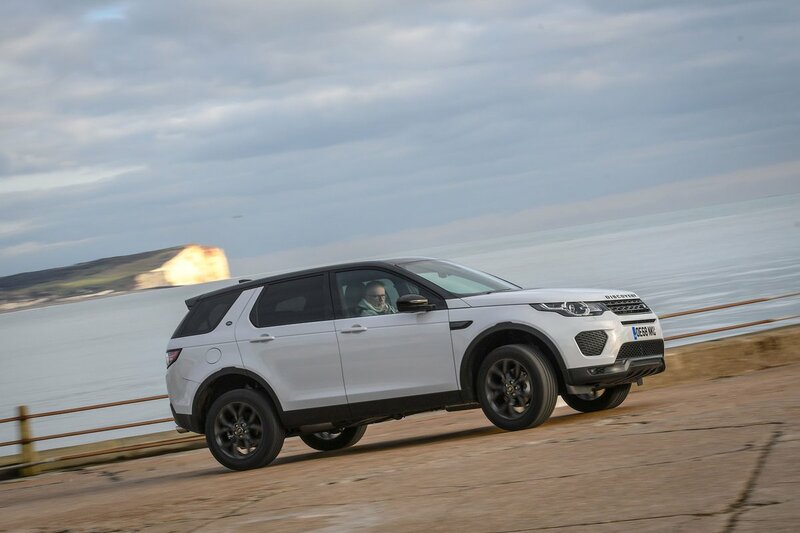 More positively, every Discovery Sport offers Bluetooth hands-free and audio streaming, DAB radio, a USB socket and controls on the steering wheel. Even the entry-level models come with a very effective 10-speaker sound system, while HSE trim and upwards get an 11-speaker system with a subwoofer. 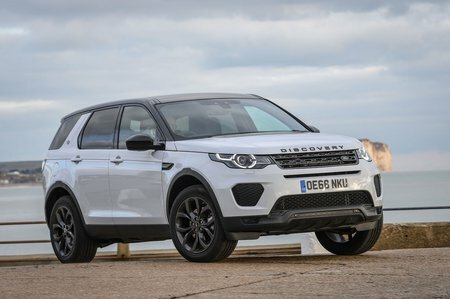 The interior of the Discovery Sport is characterised by plenty of plush, dense-feeling materials, well-damped switches and classy touches such as brushed-metal trim and a rising rotary gear selector (on auto models). It doesn’t feel quite as solidly built or well finished as some of its fellow upmarket SUVs, in particular the Q5 and X3. However, apart from the swish Peugeot 5008, the Discovery Sport feels much better appointed than mainstream seven-seat SUV rivals including the Kia Sorento and Skoda Kodiaq, so it still lives up to its premium billing.